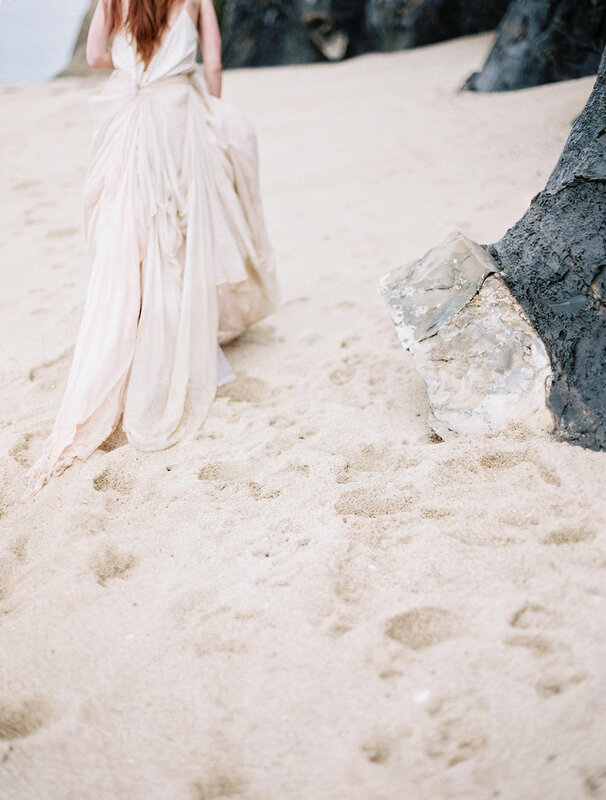 We wanted to capture the wonder of the sea, its vastness, and the spirit of calm it brings to one’s soul. 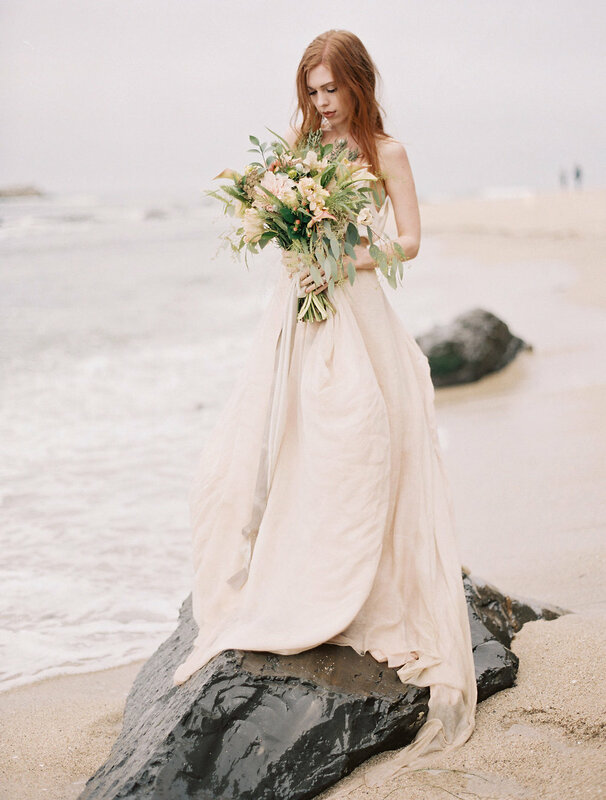 This bridal story is about acknowledging the life amid the sea while being able to see the parallels between human life, love, and relationships within it. 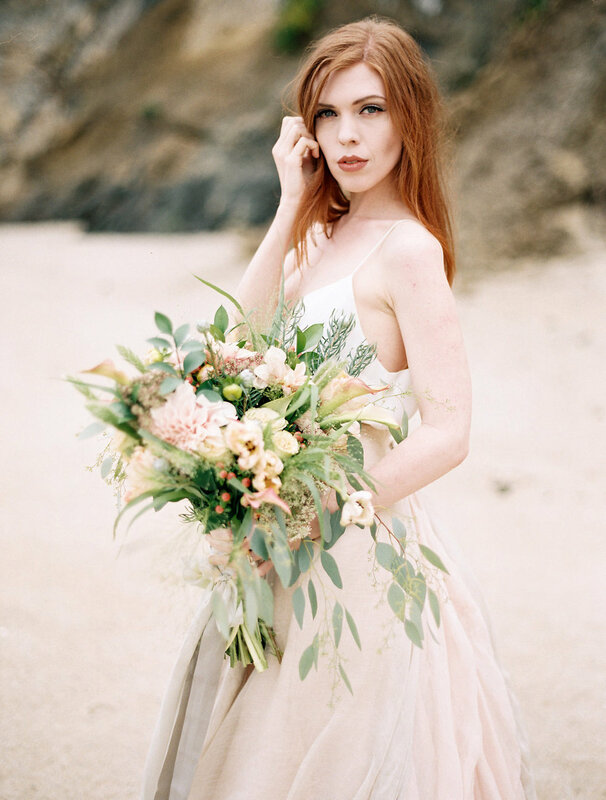 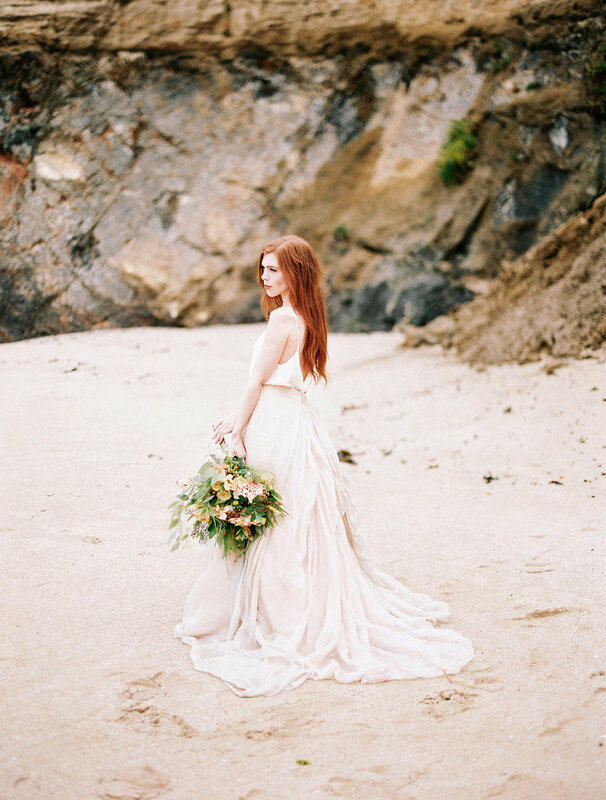 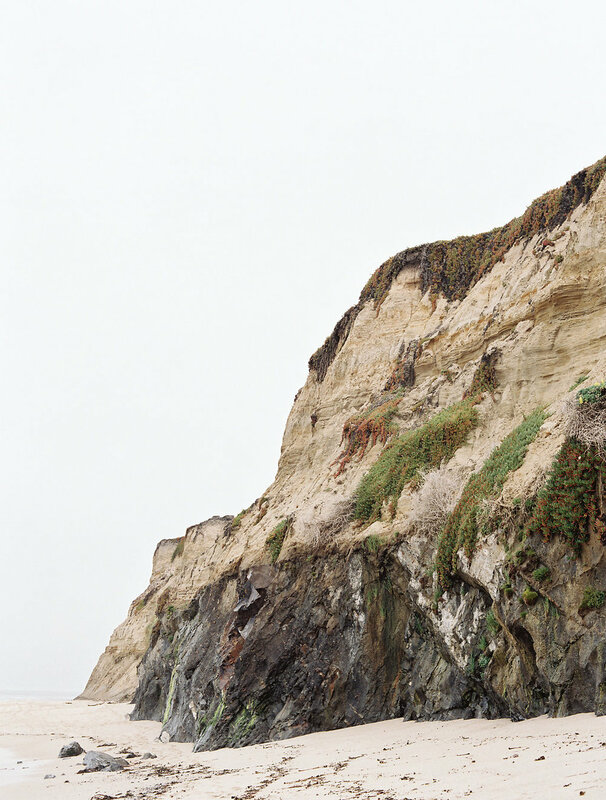 We chose a palette of warm neutral hues tinged with rose, peach, and sage inspired by the soft tint of the sand and the moss tucked into the crevices along the boulders.